A half an hour ago, you were anxiously sitting in pitch black and imagining every scary movie outcome in what was, just hours ago, your happy little nest. With no access to lighting, you believed you’d just become a character in a very creepy movie! Attempting to ignore your pounding heart and ominous thoughts, you made your way out of your home to the neighbour’s house where the lights hadn’t gone out with the storm. A quick phone call, and within the hour, a tradesman from Paul’s Electrical Services was at your door. Having an electrician in Bella Vista respond at 3:00 am on a Saturday was good enough. Having him arrive so quickly felt like a miracle! 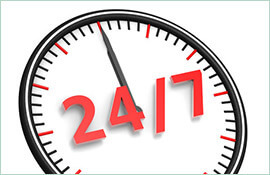 Our electricians in Bella Vista respond fast because we understand how stressful electrical problems can be. Whether it’s a stove that’s stopped working or a major issue like a power outage or blackout, we will arrive in a professionally stocked van prepared for any job. 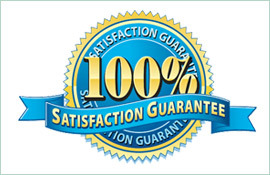 What’s more, when we complete our work, we will leave you with a lifetime warranty. 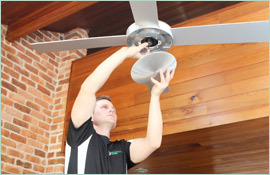 When you call on an electrician in Bella Vista, you need to have peace of mind that the work completed will leave you feeling secure in your home. We train our skilled staff for any job – whether it’s a meter, appliance, or a downed line, be assured that we will promptly and professionally respond. Having your power go out can leave you late for work, or late getting your children to school, or in some cases making you feel like a sudden cast member in a creature-feature lost in a dark abyss! 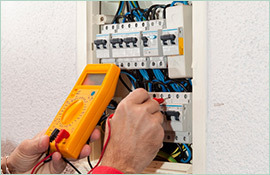 Call us to take care of all your electrical needs.